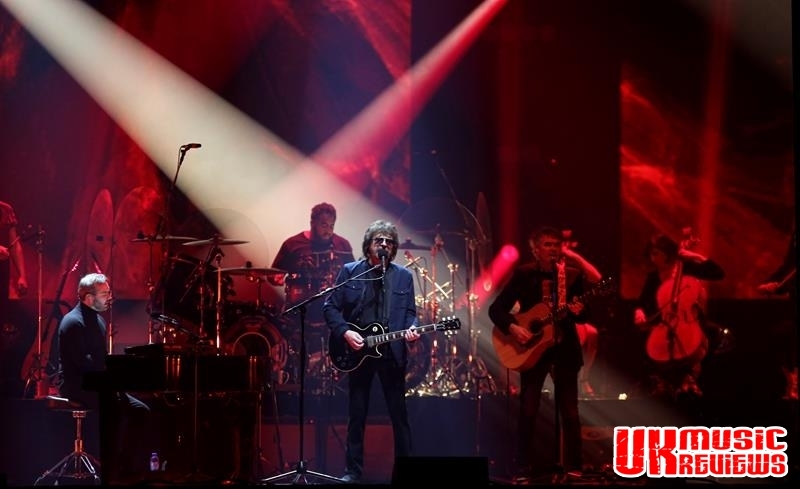 Jeff Lynne’s ELO performing at The Motorpoint Arena Nottingham on Sunday 30th September 2018. 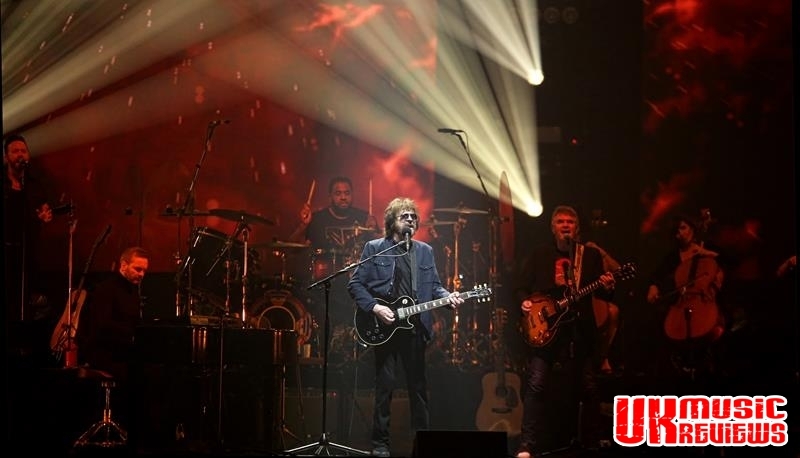 Jeff Lynne’s ELO came to the Motorpoint Arena last night and delivered a performance that was nothing short of flawless; both sumptuous in sound and generous with its hits. Delivering a set list that was loaded with virtually every top hit the band have recorded, there were five songs from 1977’s Out Of The Blue and four more from 1976’s A New World Record and if this packed crowd were under any illusion that they had been transported back in time, then this was furthered by the fact that Lynne looked and sounded in a way that belies his 70 years. Taking the stage to thunderous applause, Lynne and his very tight band started with the very gentle Standin’ In The Rain which eased the crowd into a flow of songs which were full of emotion and pure genius. There was Evil Woman, an energetic Do Ya, a mass sing along to Don’t Bring Me Down, an emotional Wild West Hero, a brilliant version of Telephone Line and the utterly unmissable Last Train To London. 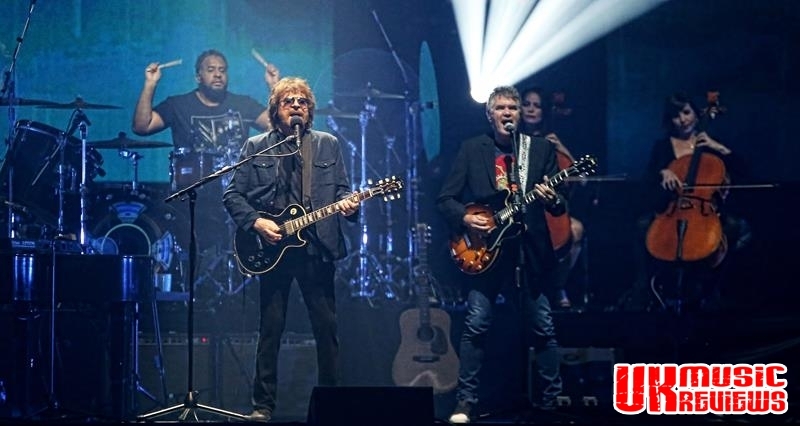 From his Traveling Wilbury days there was Handle With Care which was both explosive and astounding as footage of the members of this super group were displayed on the huge back screen, which also served as a poignant reminder that Lynne and Bob Dylan are now the only surviving members. 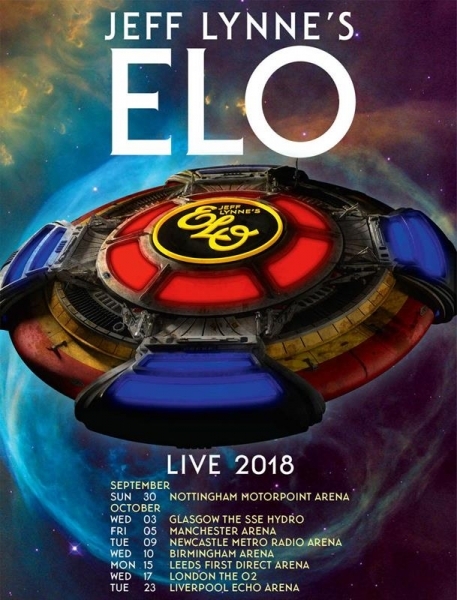 With very little between song banter, Lynne let his songs do the talking because the ELO catalogue simply speaks for itself. 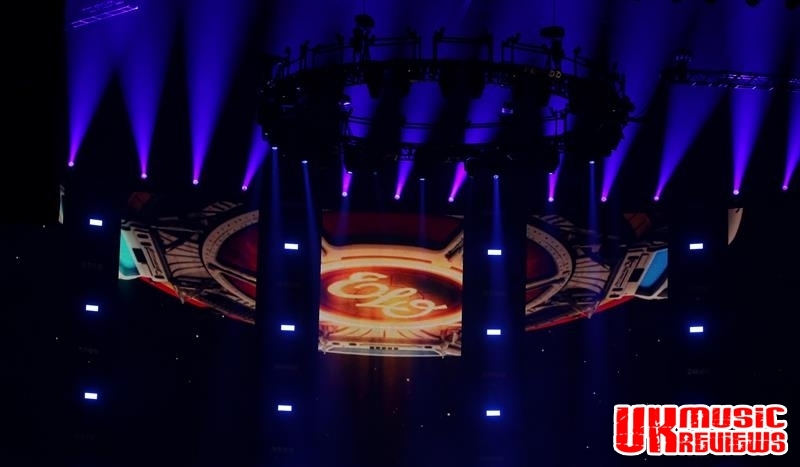 There was also no on stage flying saucer this time, although the vintage UFO iconography was shown on the big screen behind him. 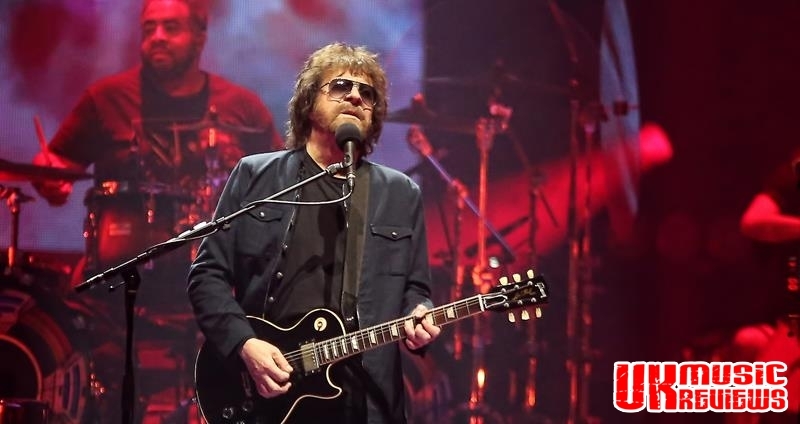 There were all the fans favourites, such as 10538 Overture, Shine A Little Love and Turn To Stone before the night ended with the outstanding Mr Blue Sky with its complicated vocal arrangements that did not trouble Lynne. They were only gone for a few minutes and once all the band members returned to the stage, they launched into a wild version of Chuck Berry’s 1956 hit single, Roll Over Beethoven which saw Lynne blasting away on an electrifying solo so reminiscent of the late Berry. And then it was all over as the crowd left the Arena, emotionally spent and exhausted, but having a night that will be filled with memories.